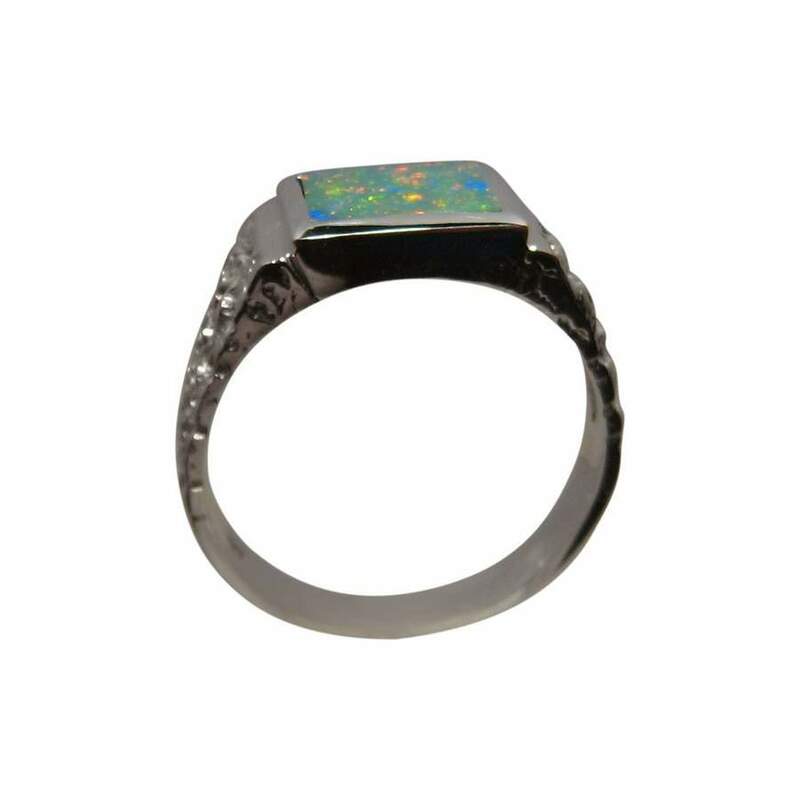 An Opal ring for men in 925 Sterling Silver with one rectangle inlaid Opal showing bright colors. 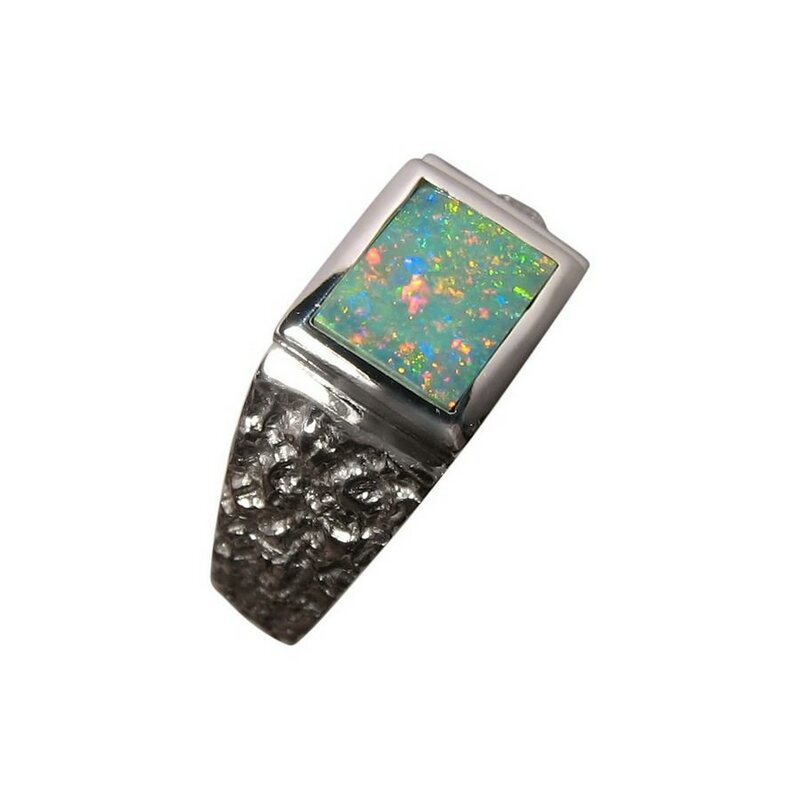 This mens Opal ring is a 925 Sterling Silver wide band inlaid with one Lightning Ridge Opal that displays multi colors in a lively pattern you will see in the video below. The Silver ring weighs over 6 grams and is 9.5 mm wide with a textured band making it a masculine yet stylish design. 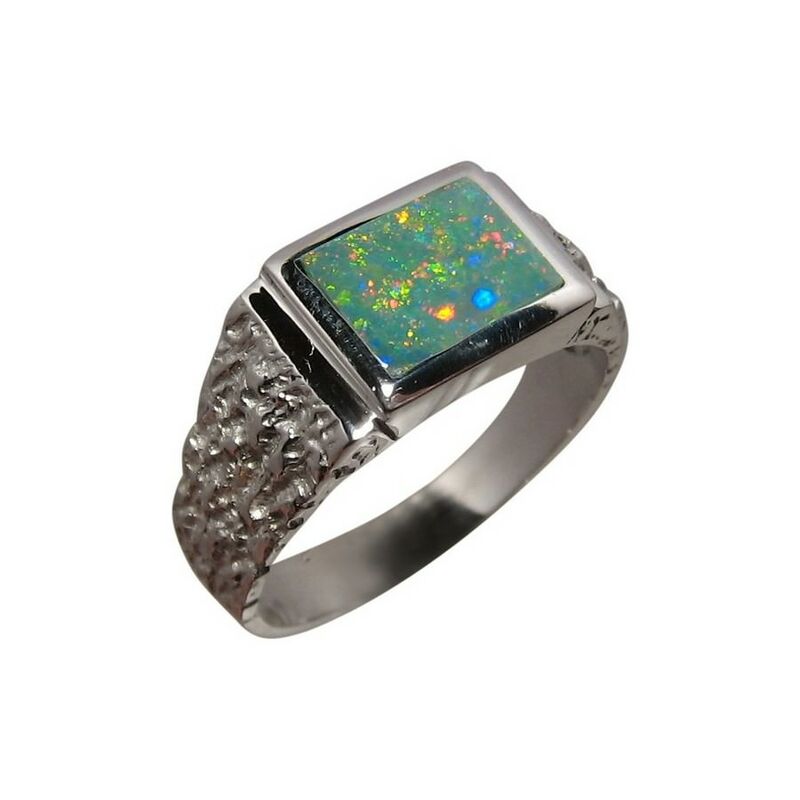 The rectangle cut Opal flashes bright Red, Yellow and Blue in a small Pin Fire play of color and weighs about one carat. 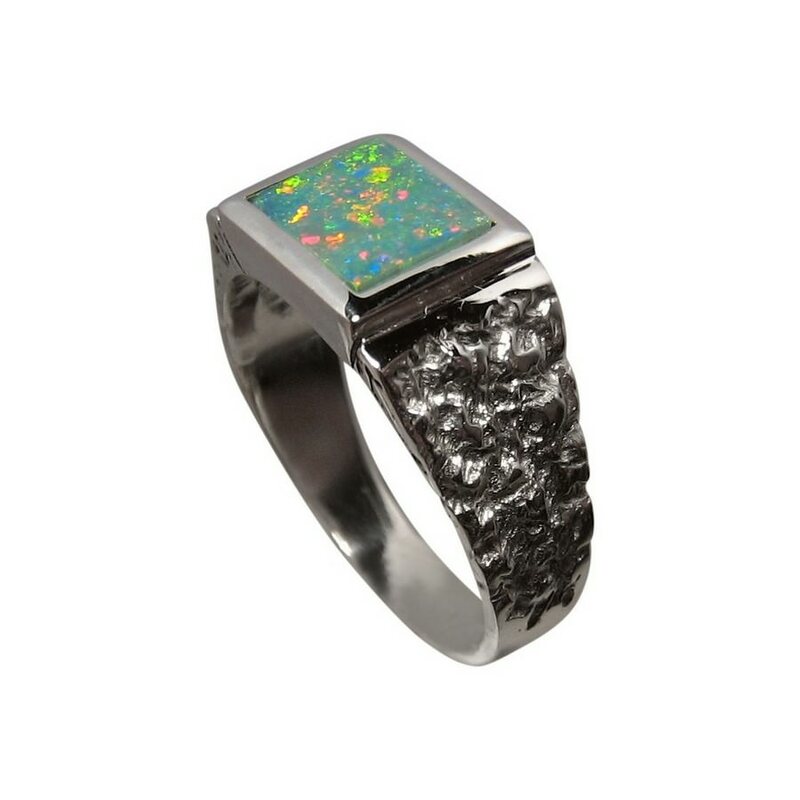 This ring is ready to ship but cannot be resized as the Opal has been secured.